With its 21-vent Wind Tunnel cooling and its RocLoc 5 fit, the Giro Foray offers 3-figure road bike helmet technology for road riders on a 2-figure budget. Most impressive of all, it brings the extra protection of MIPS to a lower price helmet. Originally reserved for £100-plus lids, MIPS is probably the most significant upgrade in bike helmet technology since Giro launched RocLoc - the original occipital-wraparound fit belt - in 1994. MIPSmeans Multi-directional Impact Protection System. Road bike styling - the Giro Foray's low profile and its lack of visor means this helmet won't obstruct your vision when you look ahead when riding low on the drops - as can happen if you wear a mountain bike lid. Faster wicking, odour-resistant CoolMax pads. Bell's in-mould construction process fuses the outer shell with the impact-absorbing EPS liner. In-mould construction effectively reinforces the helmet - especially around the vents and ribs. Available in three sizes so you're more likely to achieve a perfect fit than you might with a one-size-fits-all lid: S (51-55cm), M (55-59cm), L (59-63cm). 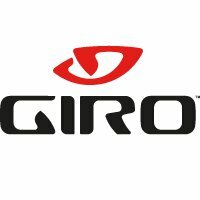 Giro's RocLoc 5 micro-adjustable retention system allows both lateral and vertical adjustment and ensures the Foray fits like a glove. This is how Giro describe their amazing RocLoc 5 retention system. 'After more than two-years of development, Giro introduces Roc Loc 5. This groundbreaking fit system provides an entirely unique user experience with an unmatched level of comfort, stability, adjustability and weight savings. With Roc Loc 5, you can easily dial-in both fit tension and adjust vertical position with a single hand. Just twist the dial for a tighter feel on rough terrain, then back it off a notch and relax across the flats or a warm climb. Even with these remarkable features, Roc Loc 5 is still nearly 40-percent lighter than its popular predecessor, Roc Loc 4. Three-Position Bracket: It's never been easier to change vertical positions and fine-tune fit. We incorporated a three-position bracket that features 15-millimeters of up/down movement. Like the Micro Dial, this system can be adjusted without removing the helmet. Carefully-crafted ergonomic arms are shaped to be as comfortable as possible. Foray drafts off the bold design language of our premium Synthe helmet, and offers many of our key features including durable In-Mold Construction and the Roc Loc® 5 fit system with two-way fit adjustment. The slim design is very light, offers great ventilation and is available in three Super Fit sizes so that you can get a helmet that looks, fits and feels like it was made for you.